“Forbidden” not any more! 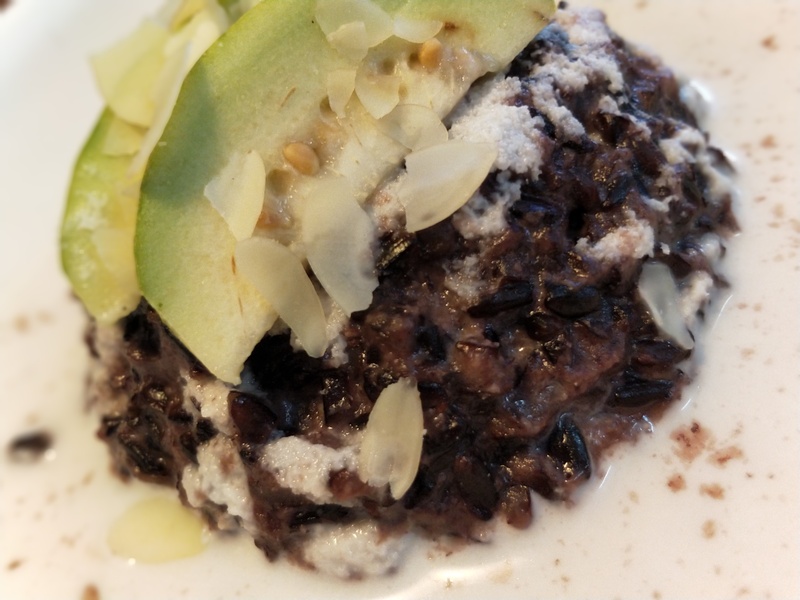 Black rice pudding. “Forbidden” not any more. I only use to look at this dish and think when I am going to cook it. Thanks to Mr. NSK for introducing me to this forbidden ingredient. I loved it when I had it at Prems Graama Bhojanam. Thank you to Sumita for looking at my blog and suggesting that I could buy this rice from Spirit of Earth. 2) 3 cups of water, including the water that was used to soak the rice. 4) plan sugar/ Jaggery/ white sugar as per taste. 5) fresh mango and almond slivers (optional) to garnish. 1) Cook the black rice in cooker for 8-10 Whistles. 2) when the pressure is released open the cooker and check if the rice is cooked well. 3) If cooked well, mash it a little and add sugar/ Jaggery/ palm sugar and keep on low flame and keep stirring. 4) Add 2 cups of coconut milk and keep stirring till the rice and coconut milk blend well. 5) Remove from fire, leave to cool. Garnish with mango ( since I did not have mango I used gauva) pour some more coconut milk while serving. This dish can be a breakfast or a dessert. ← Prems Graama Bhojanam, Chennai. 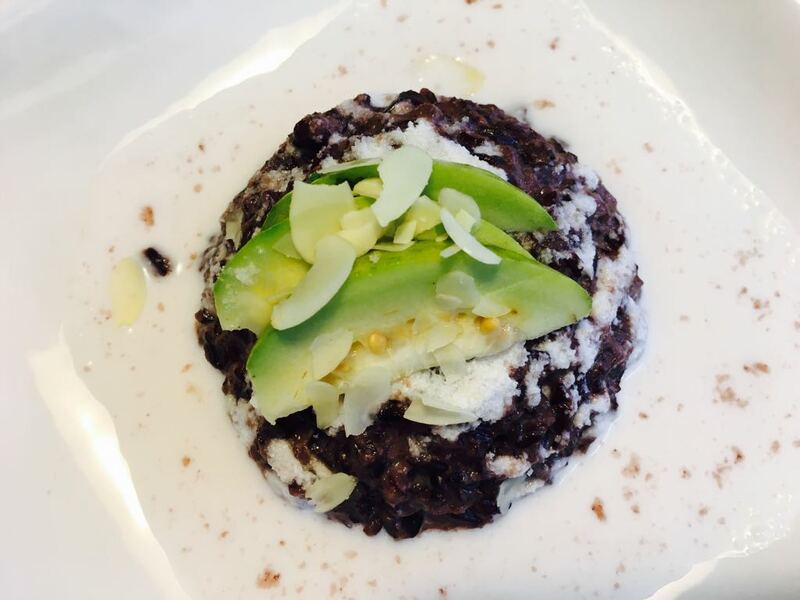 Black rice is one of the healthiest grains ever. This is an innovative recipe and adding mango is a wonderful touch indeed. Thanks so much for sharing such a novel recipe, Yogita!